Diane Gilliam was AROHO’s 6th Gift of Freedom winner. 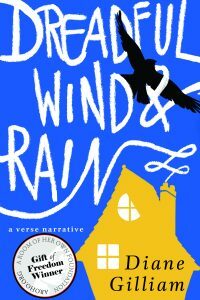 This stunning verse narrative is the first to be published of the three books Diane completed during the two years of the grant. This book is a river you will want to swim in. fairy tale life, revealing the powerful force that comes from stripping away traditional roles and beginning to write a story all your own. Diane Gilliam is the author of three previous collections of poetry: Kettle Bottom, One of Everything, and Recipe for Blackberry Cake (chapbook). She holds an MFA from Warren Wilson College and a PhD in Romance Languages and Literatures from Ohio State University. She has received an Individual Artist Grant from the Ohio Arts Council, the Chaffin Award for Appalachian Writing, and a Pushcart Prize. She was the sixth recipient of AROHO’s $50,000 Gift of Freedom award.